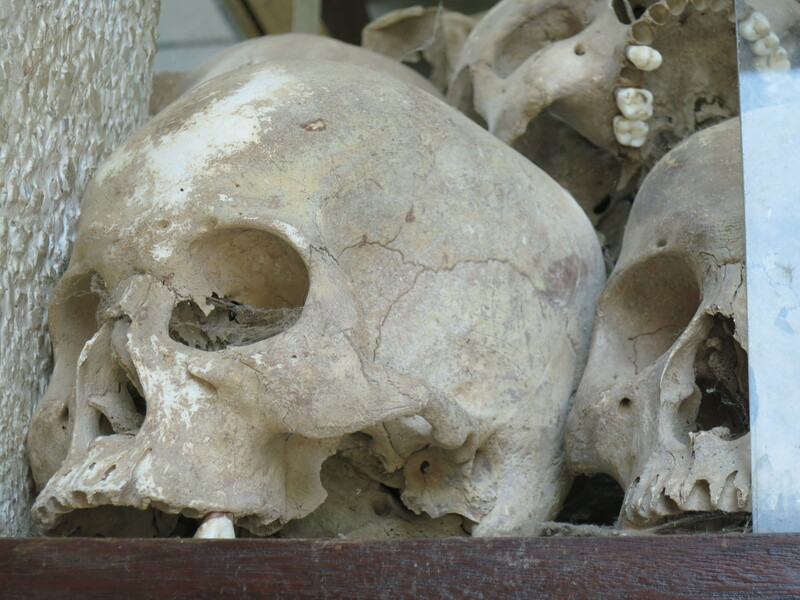 Today’s post contains some disturbing imagery of the remains of victims of Pol Pot’s reign in Cambodia. The sites were chosen for their relative isolation. Space was cleared out in the middle of farmers’ fields, fences erected to keep the curious out and the doomed in. Prisoners arrived in the dead of night and dug their own graves. Patriotic music blasted from loudspeakers–there were no gunshots to hear, but the shrill music covered the dull thud of machetes hitting flesh and the screaming that followed. In the morning, guards sprayed the graves with DDT to ensure everyone in them was dead, and to cover the smell of the corpses. These were the killing fields. 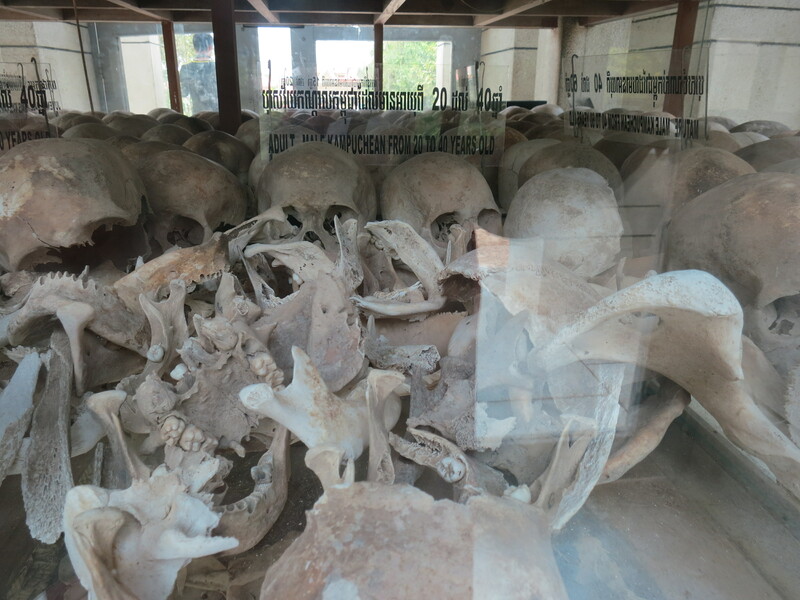 During Pol Pot’s reign in Cambodia, the Khmer Rouge murdered somewhere between 1.7 and 2.5 million fellow Cambodians. 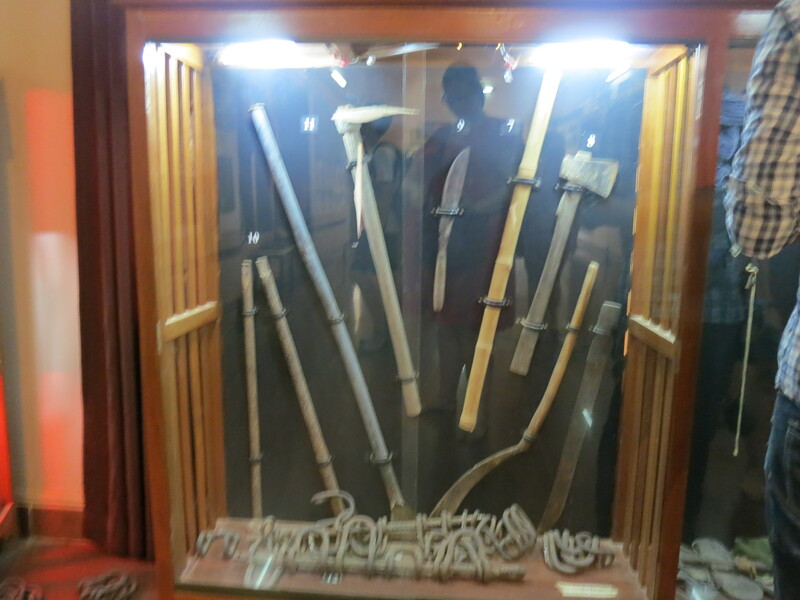 Most of the murders took place in what have come to be known as the killing fields. 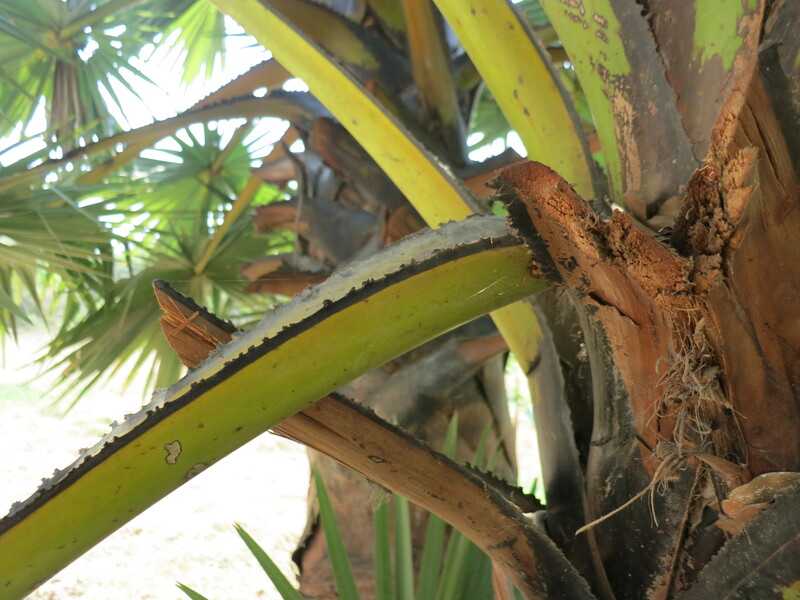 There were dozens of such sites, mostly concentrated around the capital, Phnom Penh. So many people died, but there are very few records that show names, which is part of the reason it’s hard to get an accurate number. 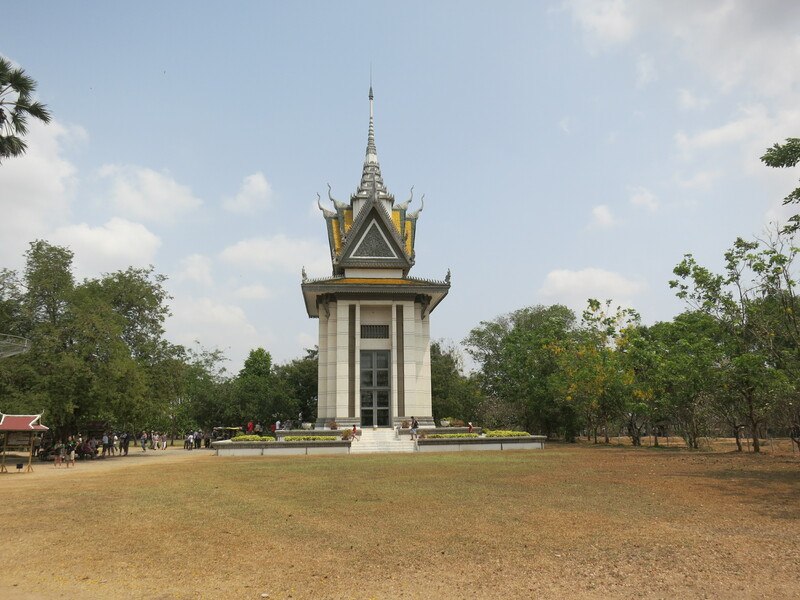 After the defeat of the Khmer Rouge by the Vietnamese in 1979, one of those sites, Choeung Ek, was made into the memorial for the dead. 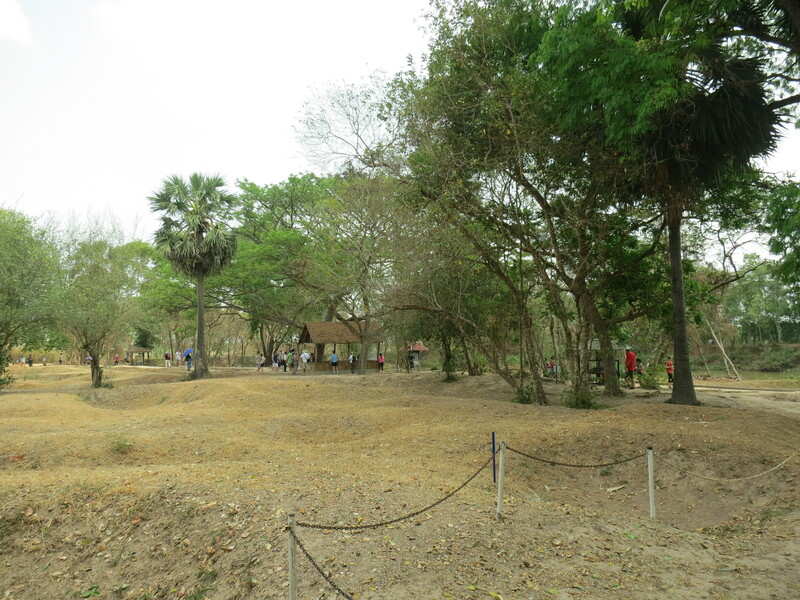 I visited Choeung Ek in March, and I was impressed by the audio guide, which was one of the most thorough and thoughtful I heard on my whole trip. The guide took me past dusty stretches of land, which once contained a small hut to house prisoners when there were too many to execute in one day, and several sheds that held the machetes, hoes, knives, hatchets, cart axles, and other weapons. Bullets were expensive, so while farmers in the surrounding fields grew crops with shovels and hoes, the guards used the same implements to hack humans to death. None of the original structures remain. They were all destroyed in 1979, upon liberation. 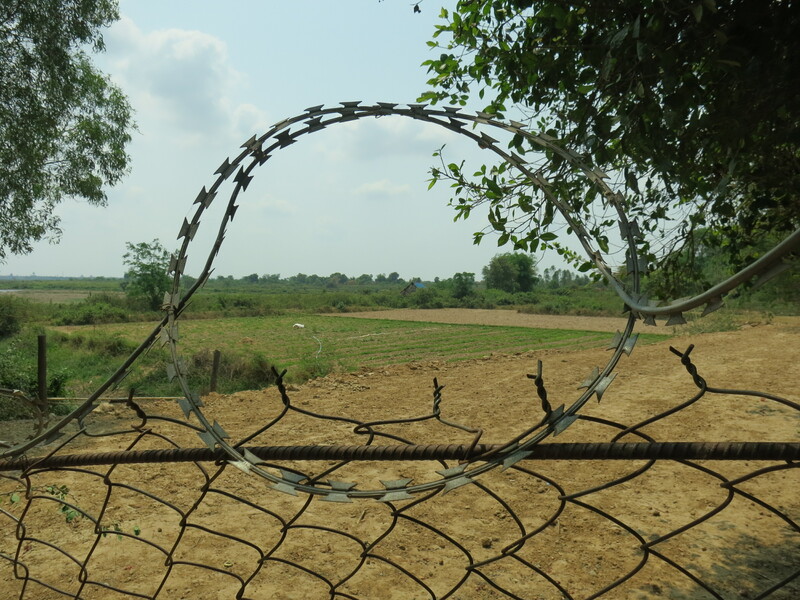 Now, the fields are dusty brown and empty of buildings, except for the Buddhist stupa towering over the dry grass and containing 17 levels of human skulls recovered from the mass graves here. 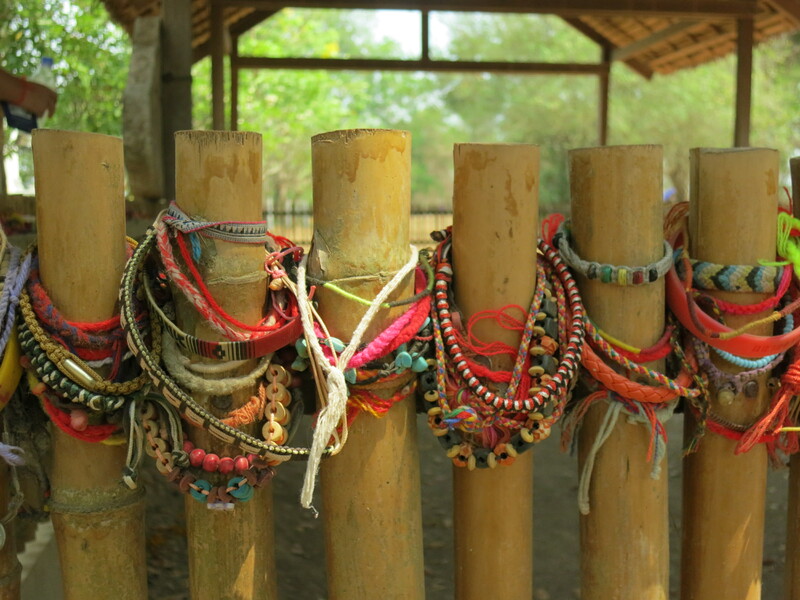 The path went along a few fenced-off areas, where the museum had grouped some victims, such as children who were beat to death against a nearby tree. 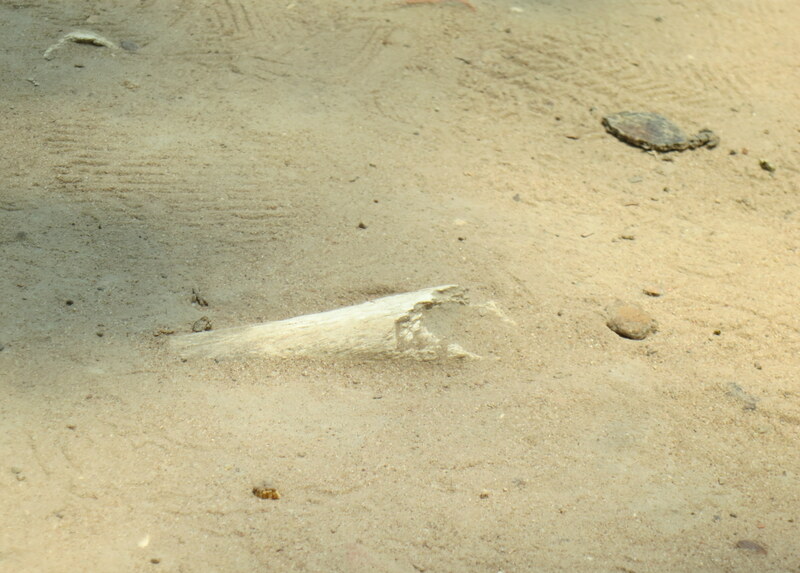 Perhaps the most upsetting thing for me, during this hugely (and rightly so) upsetting visit, was when I stumbled over human bones. There are so many bodies buried here that they haven’t finished exhuming them all, so even though I didn’t walk on the mass graves, I twice found myself looking underfoot to find a piece of bone sticking out of the path. 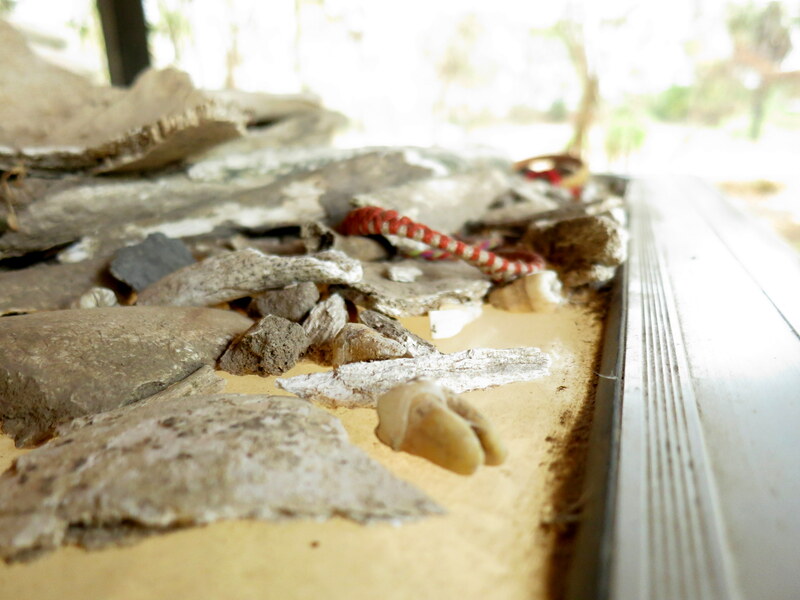 The skulls in the stupa, even the bones piled haphazardly in a glass box on the path–these were hard to see, but they were behind glass, they had been processed by officials, they had been counted as part of history. The bones I trod upon in the path were raw reminders of the brutality that took place here, over and over again, and the enormity of trying to order and record it, and the futility of ever knowing who died here. These skulls are shelved behind sliding doors of glass. Most skulls show some form of trauma. When I removed the headphones of the audio guide, I heard nothing. A little noise from neighboring animals, a man quietly selling flowers for people to place outside the stupa, but otherwise–silence. 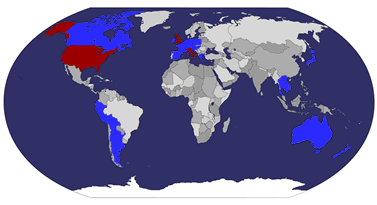 I’ve seen hungover, loud tourists at just about every place I’ve visited, but not here. The horror was too great, the history too recent. Everyone maintained a respectful silence for the barely buried victims, whose screams echo in the humid air. 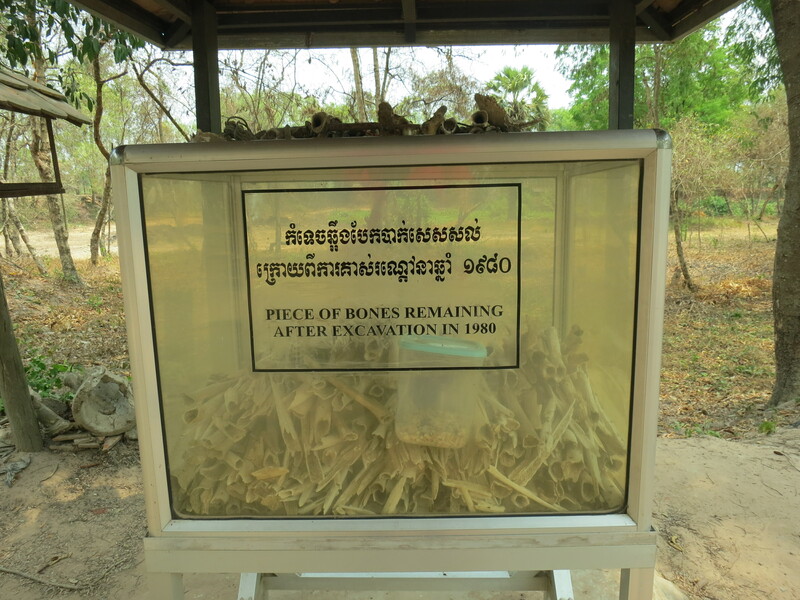 This entry was posted in Cambodia and tagged Cambodia, Choueng Ek, history, human remains, Khmer Rouge, Killing Fields, Pol Pot, recent history, unknown victims by lisafindley. Bookmark the permalink. It’s stays with you, just as it ought to, doesn’t it? I’m glad this piece resonated with your own experience there. Wow. Poignant and heartbreaking. Thank you for sharing with us what must have been one of the most profound and somber experiences on your trip.